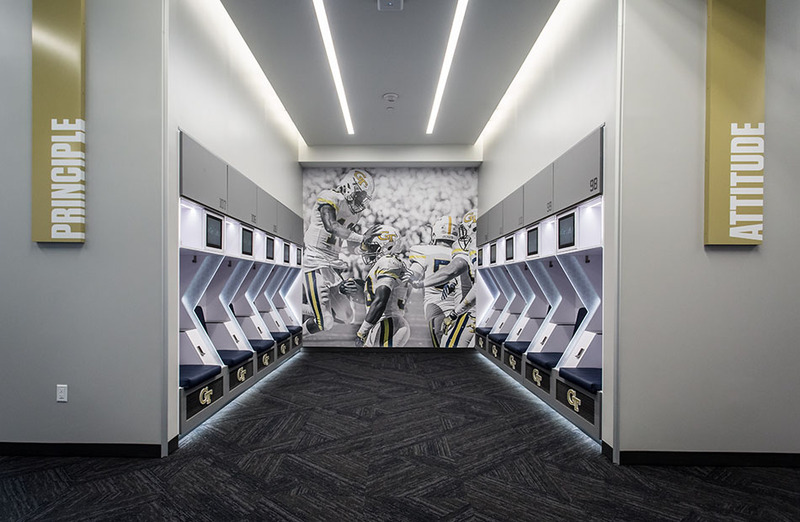 As lead designer for the 8,100SF, $4.5M locker room renovation, my team and I were able to deliver Georgia Tech’s standard of technology, excellence and innovation, through branded, ventilated lockers, an eye-catching ceiling feature, sleek interior finishes, adjustable lighting, upgraded MEP/FP systems, as well as new sinks, toilets, and showers. 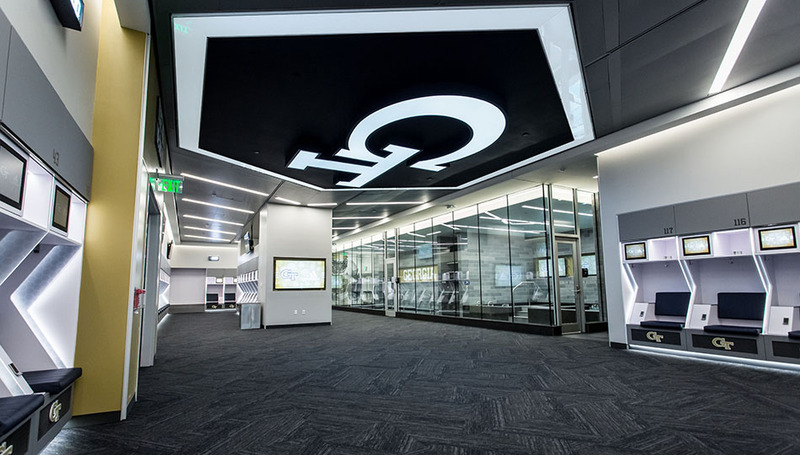 The trademark GT hexagonal pattern is expressed throughout the design tying the lockers, ceiling feature, graphics, and finishes into a cohesive and consistent branding element. 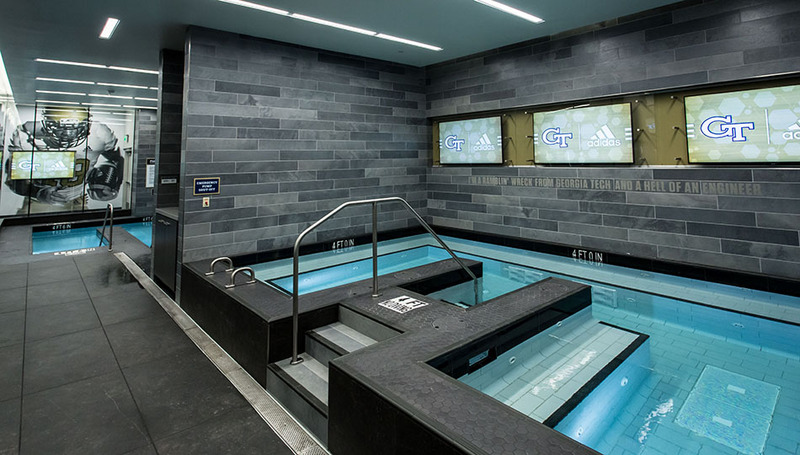 A unique focal point within the locker room is the new hydrotherapy area that consists of two new in-ground, custom plunge pools. 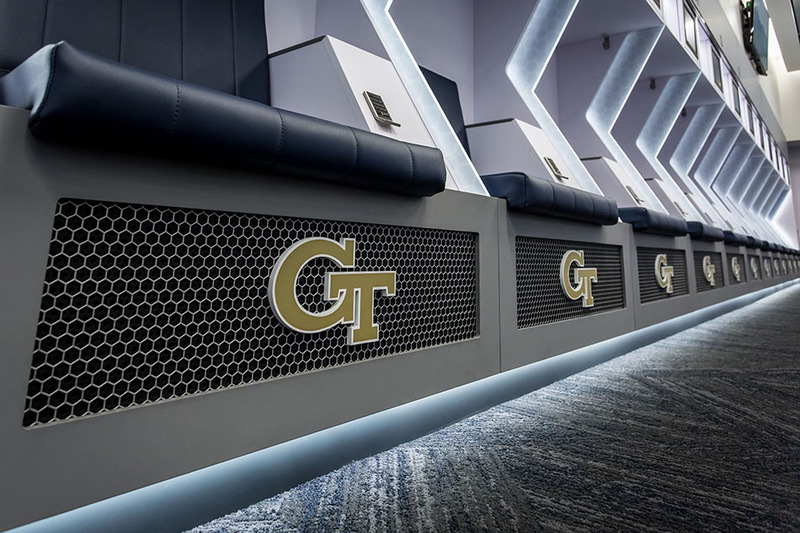 Adjacent to the plunge pools is a fully-immersive rain shower allowing players to rinse off prior to entering the pools.